buy the marine injectors and the exhaust stack kit, its pretty wild, add the air intake kit and u will be blown away! and asking youreself why didnt i do this years ago! trust me! the heat sync kit is well worth the money! Temperature sensor for the temp gauge on all 6.5's, all models. 6.5 Turbo Diesel EGR/Baro MAP Sensor located on the firewall. 94-present all 6.5 Turbo Diesels. Cold Start Temp Switch for 92-93 6.5's. Retards timing and operates the fast idle solenoid when cold. 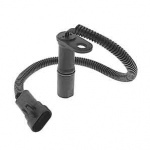 Low Coolant Level Sensor w/reservoir for all 94-96 C/K pick-ups, Tahoes and Subs. 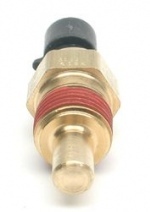 Low Coolant Level Sensor w/reservoir for all 97-2000 C/K pick-ups, Tahoes and Subs.